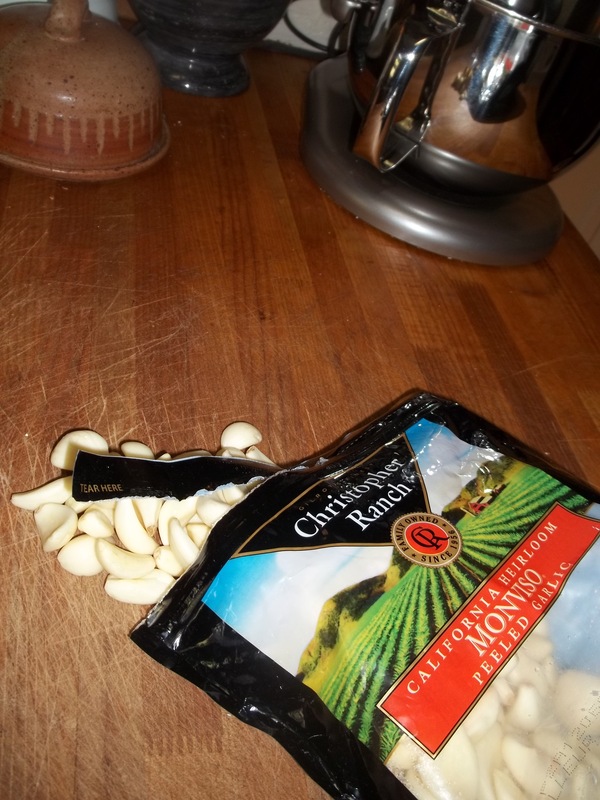 There’s nothing like fresh garlic. But sometimes – especially for soups and stews – it’s convenient and inexpensive to use the peeled cloves you can buy in a bulk package at places like Costco. I usually split the three-pound bag with my friend Emily, and I keep it stored in olive oil. 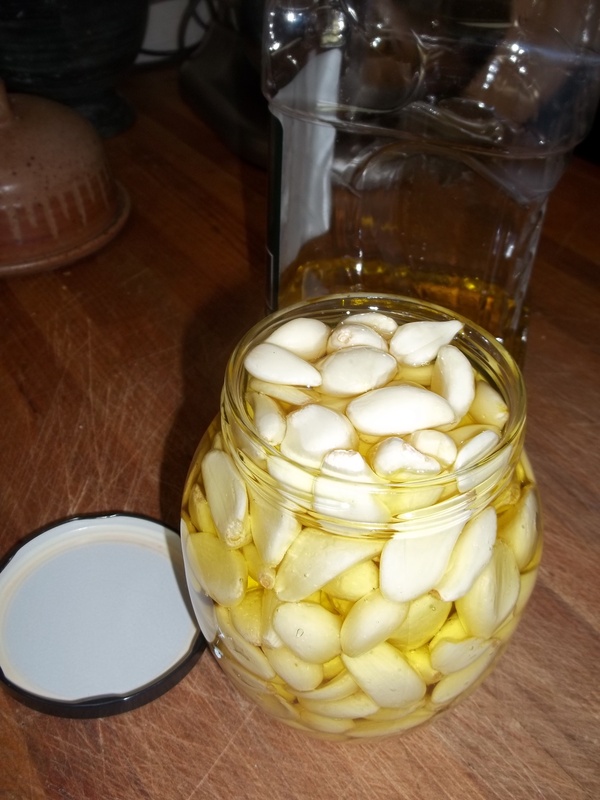 **So make sure you keep this garlic olive oil in the refrigerator. 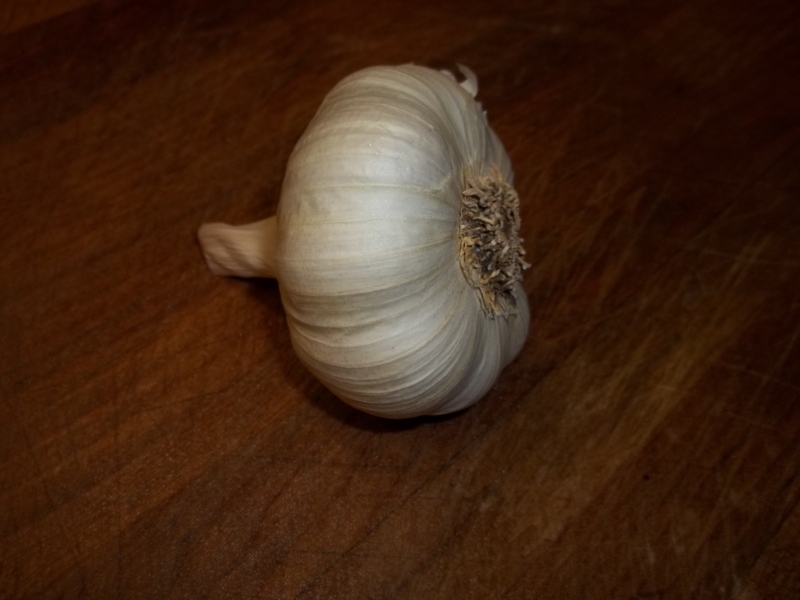 Garlic oil is wonderful to brush on shrimp or asparagus or peppers for grilling, and the oil-soaked cloves of garlic go easily through a garlic press. Or you can use them whole. 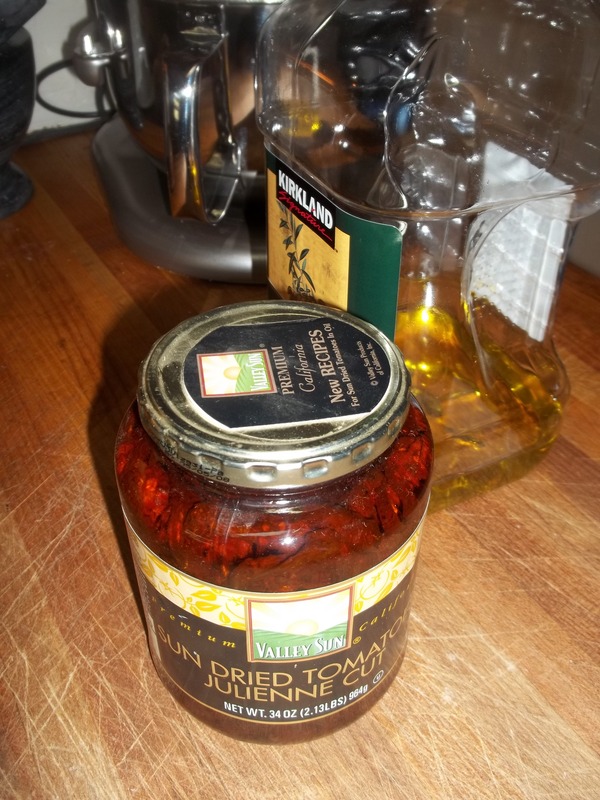 I also buy sun dried tomatoes that have been preserved in olive oil. When I use some of the oil, I pour more fresh oil on top of the tomatoes in the jar. 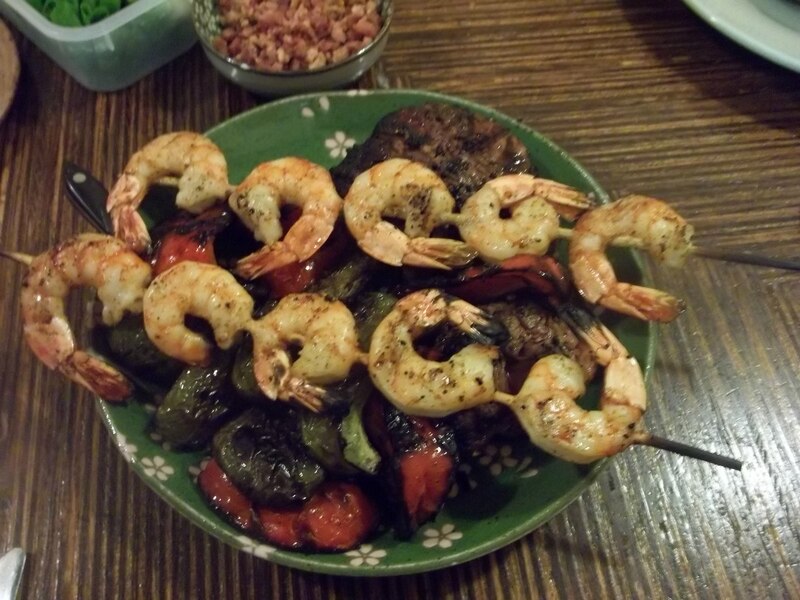 Here is a delicious recipe John and I made last night on the spur of the moment. It took about 20 minutes from start to finish, and it was delicious! 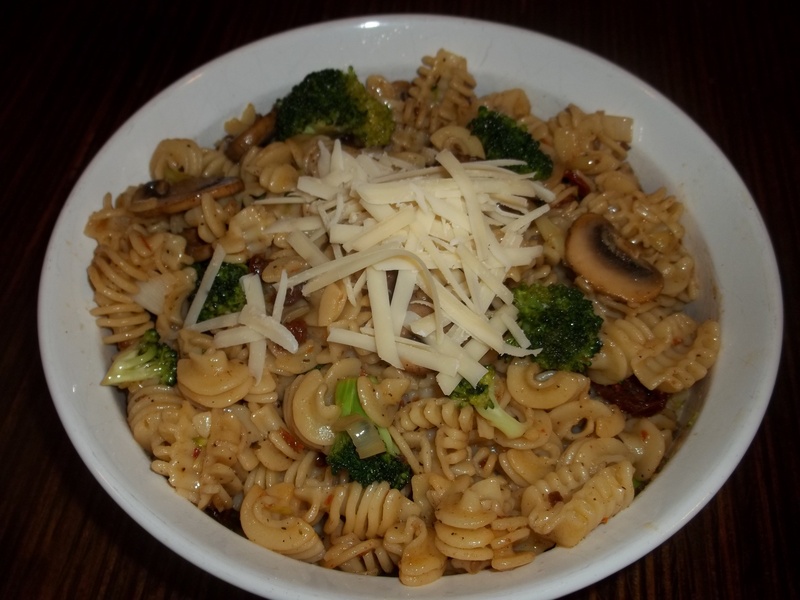 While the water is boiling and the pasta is cooking you have 15-20 minutes to slice the mushrooms, onion and broccoli and sauté them in the garlic oil. Just before you remove it from the heat, stir in the sun dried tomatoes. Drain the pasta when it’s aldente. Stir in the sautéed veggies. I think the only thing I might do differantly is blanch the broccoli in the pasta water before sauteing. Sounds YUMMY!! Leslie, I thought about doing exactly that. But it seemed healthier to not put the broccoli in hot water at all. I don’t know… Anyway I cut the florets pretty small (1″ or so in diameter) so they did cook all the way through. If you try it and decide to blanch the broccoli first let me know how it turns out. Another good recipie to mark for trying; all good ingredients!